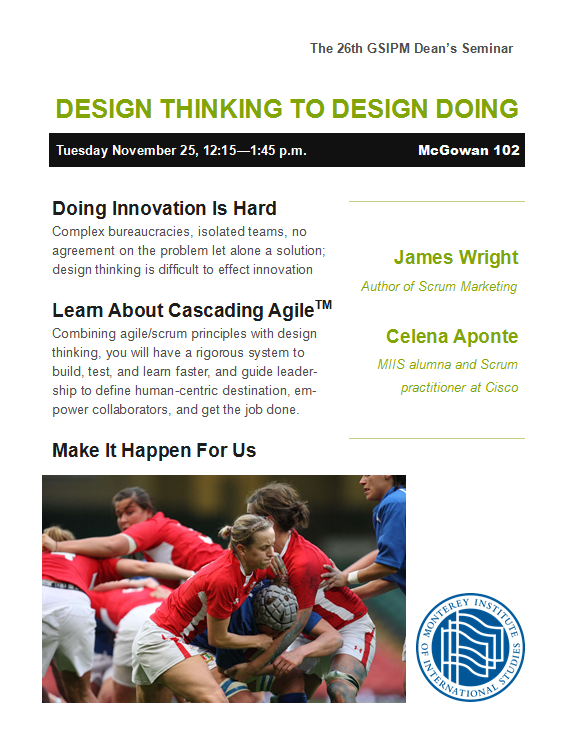 Participation: Guiding Value or Empty Buzzword? During Professor Levinger’s recent sabbatical, she worked with 14 international organizations in 16 different contexts and countries. The one thread that bound this set of amazingly diverse experiences together is that each organization claimed to embrace participation as a value that guided their work. Her talk will explore the very diverse meanings that organizations attach to the term “participation,” and what this means for the future of development work. 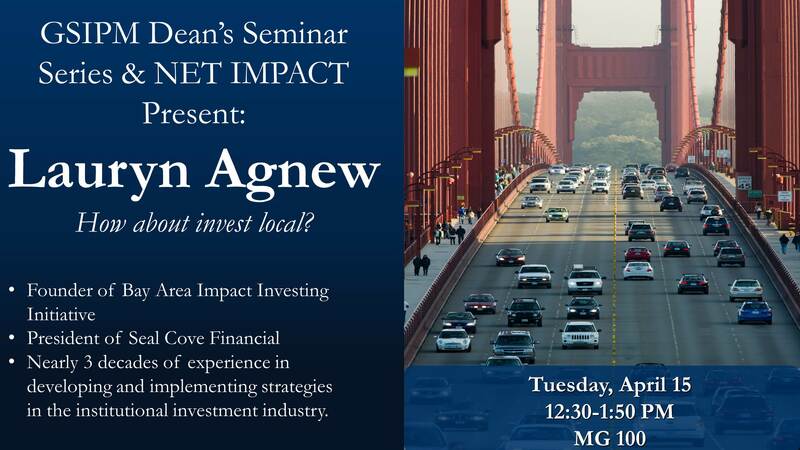 Lauryn Agnew, the founder of Bay Area Impact Investing and President of Seal Cove Financial, is set to speak at MIIS on Tuesday, April 15 at 12:30 pm in McGowan 100. Lauryn has nearly three decades of experience in developing and implementing strategies in the institutional investment industry. 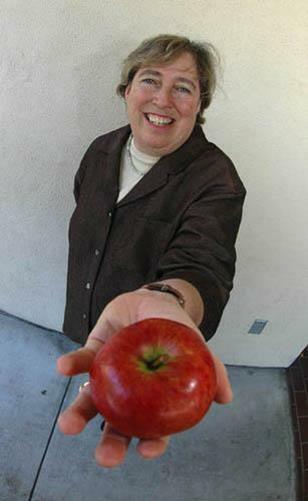 She also serves as trustee on the Board of the San Mateo County Employees Retirement Association, chair of the investment committees of the United Way of the Bay Area and the Girl Scouts of Northern California and member of the finance committee of the Immaculate Conception Academy of San Francisco. 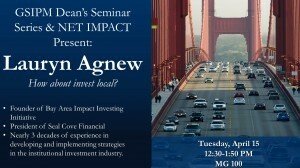 Please join Lauryn as part of the GSIPM Dean’s Seminar Series and Net Impact MIIS here on campus next week! The project: the USAID-funded Financial Sector Development in Iraq. Her mission: to develop a curriculum for training the country’s future bankers. The process involved extensive discussions with business faculty, Central Bank staff, and the leaders of the Federation of Iraqi Private Banks. The topics of discussion ranged from privatization of the banking sector to anti-money laundering reforms. At the center of all this was Professor Moyara Ruehsen, living and working in an environment where security considerations factored into every decision, and every outreach effort. Join us to hear the stories Professor Ruehsen is ready to share. 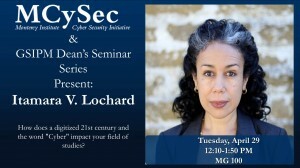 The March Graduate School of International Policy and Management (GSIPM) Dean’s Seminar will feature Professor Anna Vassilieva and a discussion titled, ” Russia on the Eve of the March 4 Presidential Elections“.